The multidisciplinary Space Technology course includes the history of space, orbital mechanics, space propulsion, space transport systems, atmosphere entry, space station engineering and base stations on the Moon and Mars. In Satellite Technology, the basics, function, and engineering of satellite subsystems are discussed. The remote-sensing problem, basic sizes of remote sensing, electromagnetic waves, and signal theory as well as systems and components of measuring instruments for use in space are at the heart of Space Sensor Technology. 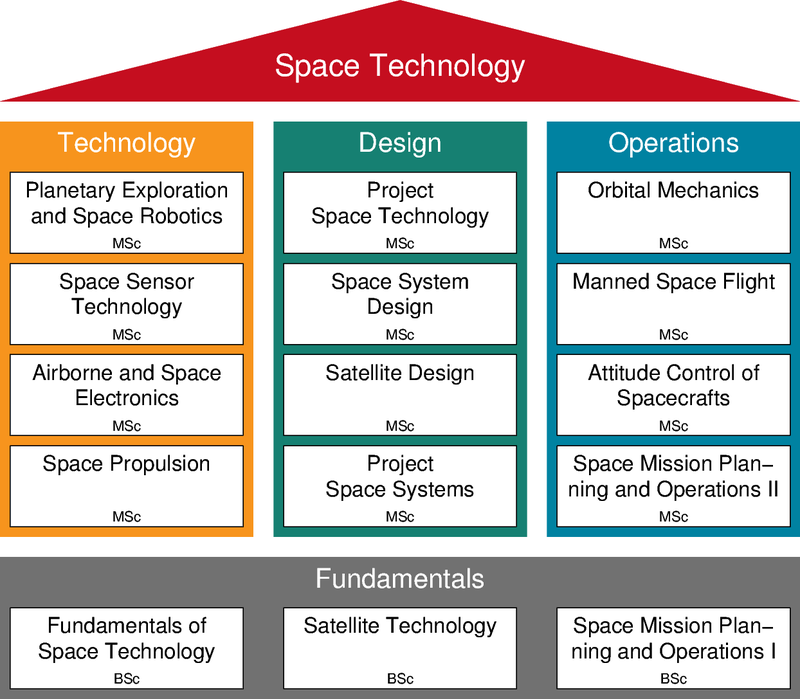 In Space System Design, the fundamentals for the design of space systems such as systems engineering, technical reliability, fault tolerance in systems, and coding theory are discussed. Satellite Design involves the practical design of a satellite or a space probe. 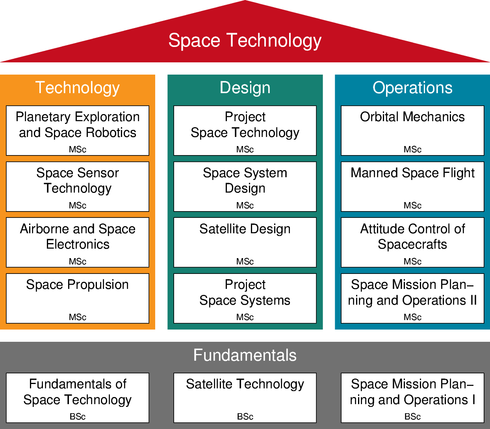 The Space Management and Operation course provides an overview of international space programmes, the space planning process, and the planning and execution of the operation of space systems as well as practical training in satellite operations. In Space Flight Mechanics, the fundamental physics of space flight are taught and practised.